On my very last afternoon in Hong Kong I visited beauty retailer Mi Ming Mart‘s Causeway Bay outlet. It was actually a recommendation by someone I had met at Cosmoprof Asia trade show the previous day: Sophie from Hong Kong-based organic beauty distributor Aura HK – the company’s portfolio includes European brands like Dr. Hauschka, Melvita, Sanoflore, Flow Cosmetics and Avril – suggested that I check out Mi Ming Mart, a clean beauty store chain founded by a Chinese beauty KOL (Key Opinion Leader = Influencer). It sounded intriguing (and I do love me some female entrepreneurship!) so I went – and Mi Ming Mart is indeed a fascinating retailer. 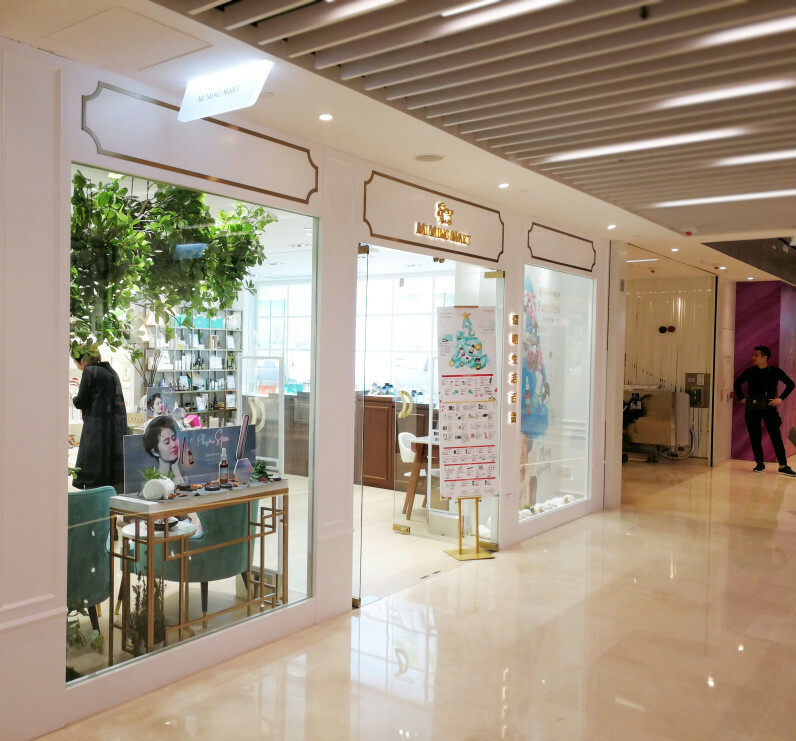 The first Mi Ming Mart was opened in 2009, so the company has been a mainstay of Hong Kong’s niche beauty retail scene for almost a decade. Founder Erica Yuen is a former beauty queen turned social media icon/celebrity who was also active in local politics between 2011 and 2016 – she is the co-founder of Hong Kong’s radical pro-democracy party Power Voters and from 2013 to 2016 served as chairperson of the pro-democracy People Power party before focusing on further expanding her retail business. Which she seems to have been doing successfully: in February 2018 Mi Ming Mart was listed on the Growth Enterprise Market (GEM) of Hong Kong’s stock exchange. According to parent company Inwell International’s annual report, group revenue grew 19.3% to HKD 123.4 million in the financial year ending March 2018 – a result which can be traced back to the opening of three new retail stores (Quarry Bay, Tuen Mun and Tseung Kwan O) and the strong performance of skin care sales. The company’s gross profit climbed 18.4% to HKD 74.8 million over the same period. For more information on the company and the store click on the link below! I first came across Hong Kong-based beauty company Kimature at China Beauty Expo 2017 in Shanghai this May and was immediately intrigued by this unusual organic beauty brand. 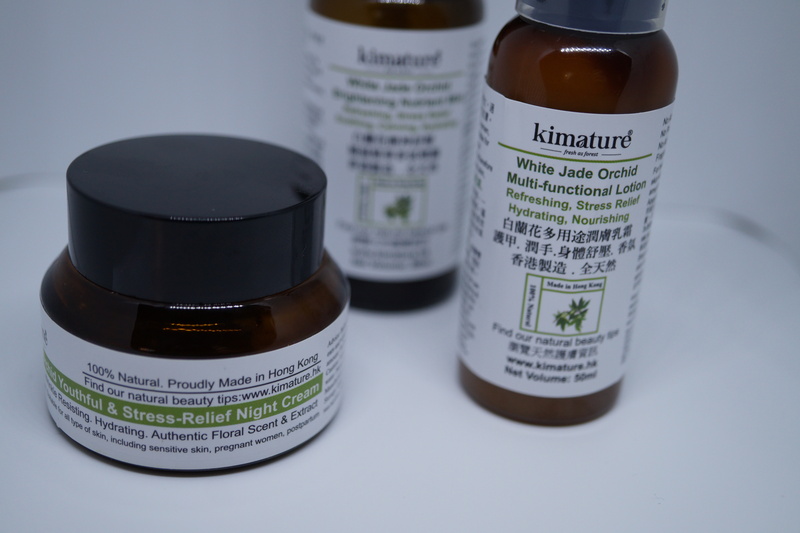 Not only are Kimature’s products based on TCM (Traditional Chinese Medicine) plant extracts but the brand’s cosmetics are manufactured right there in Hong Kong with locally sourced herbal ingredients. When I was in town a few months ago for Cosmoprof Asia 2017 I met up with founder Kim Chen and her husband Edward Ian and asked them a bunch of question about their company. Click on the link below for more information about Kimature’s products and the concept behind the brand. Well, the 21st edition of Asia’s biggest beauty trade show has come and gone. Cosmoprof Asia 2016 took place from 15th to 18th November 2016. This year, organisers UBM BolognaFiere had divided the trade show into two sections: Ingredients, Machinery/Equipment, Pack & OEM took place from 15th-17th November at AsiaWorld-Expo; Cosmetics & Toiletries, Salon Beauty, Hair & Nails was at Hong Kong Convention & Exhibition Centre from 16th-18th November. Since my focus is retail cosmetics I spent the entire trade show at HKCEC. 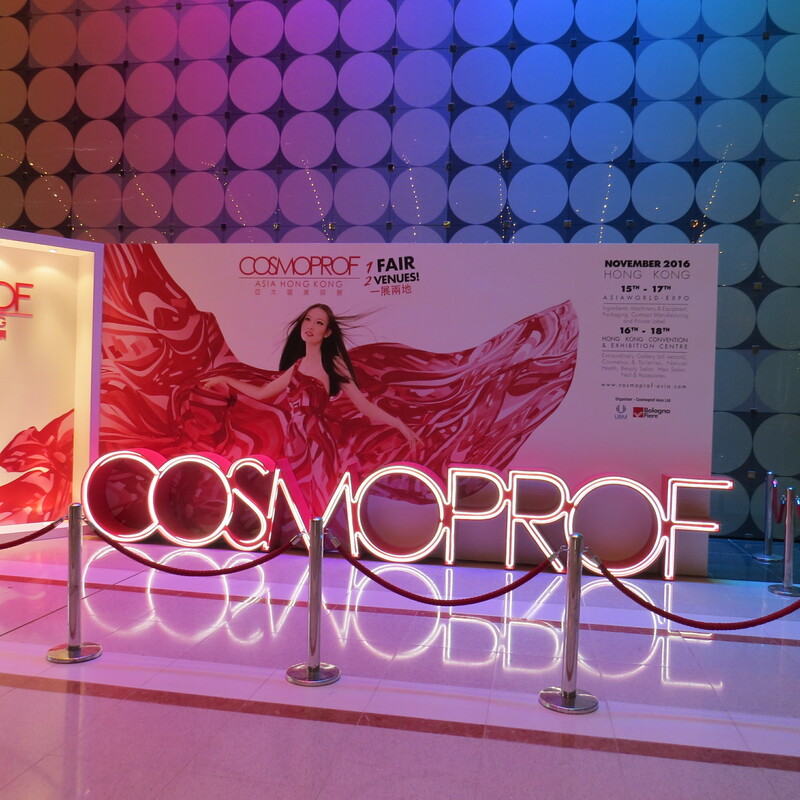 And like Cosmoprof Asia 2014 and Cosmoprof Asia 2015, Cosmoprof Asia 2016 turned out to be a fabulous show: I discovered interesting new beauty brands and met up with many familiar faces – it was an exciting (and exhausting!) three days. Click on the link below for some of my favourite brand discoveries! The latest issue of Organic & Wellness News has just gone online: we have published an e-paper with Asia-specific content on the occasion of Natural Products 2016 trade show which will take place in Hong Kong this August. I contributed two articles: an interview with industry expert Mei Graefe on the cross-border e-commerce business in mainland China and an interview with Brenda Lee, founder of Hong Kong’s biggest organic perfumery chain Beyorg. Enjoy! 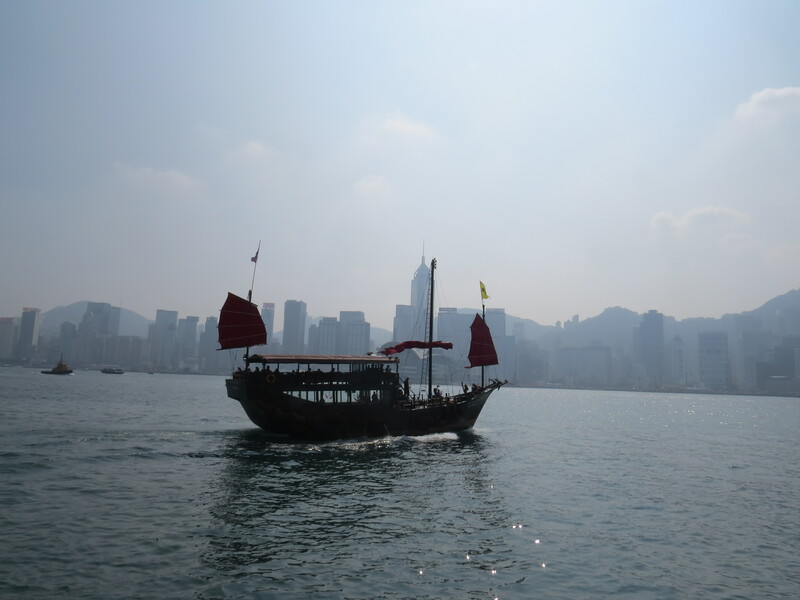 The last stop on my Asian tour was Hong Kong – and the big event here was, of course, Cosmoprof Asia! Not only is it the most important C&T trade show for the entire Asian region but the fair also celebrated its 20th anniversary in 2015. Congratulations! The official trade show stats for 2015 speak for themselves: there were 2,504 exhibitors from 46 countries which marks an increase of 6% compared to 2014. A total of 63,241 visitors from 119 countries attended the trade show (+ 5.5%) and there was a 7% increase in visitors from outside the Hong Kong area (including me!). And here are some more facts and figures: there were 22 country and group pavilions (Korea was the biggest exhibitor and Chile attended for the first time), total exhibition space grew 3% to over 84,000 sq m and Italy and the US were the countries of honour because of their continued support of Cosmoprof Asia. At the official Cosmoprof Asia press conference, organizers UBM and BolognaFiere also announced the following news: because the trade fair has grown so much over the last few years, the 2016 edition will take place in two different venues. Cosmetics, Salon, Hair, Nails & Accessories will remain in the Hong Kong Convention & Exhibition Centre; Packaging, Ingredients, Equipment, Private Label etc. will move to Asiaworld Expo. The 2016 fair dates are 15th to 17th November for Asiaworld Expo and 16th to 18th November for the Convention Centre which means that there is an extra day for visitors who want to take in both parts of the show. But all of that is still in the future; join me now for a tour around Cosmoprof Asia 2015 featuring, in no particular order, some of my favourite brands and companies from across the world. By the way: this article is even longer than my usual trade show reports – you have been warned! I arrived in Hong Kong a few days ago to attend Cosmoprof Asia, the biggest and most important C&T trade show in the Asian region. This year’s Cosmoprof Asia took place from 12th to 14th November at Hong Kong’s Convention & Exhibition Center in Wan Chai. Click on the link below to read more on the show. Ich bin Journalistin und schreibe über verschiedene Themen, u.a. Kosmetikindustrie & Einzelhandel, Markt- & Trendforschung, Naturkosmetik und die Bio-Branche. Ich freue mich über Rückmeldungen oder Projektanfragen.